Harrogate-based retailer Rise Furniture and Mobility has been shortlisted for the ‘Best Small Company’ award at the Harrogate Advertiser Excellence in Business Awards 2019. 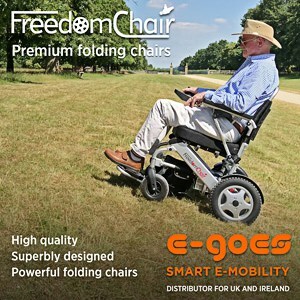 Rise Furniture and Mobility sells a wide range of mobility equipment including award-winning rise recline chairs and beds, stairlifts, scooters and daily living aids. It is up against seven other Harrogate businesses for the ‘Best Small Business’ category, including Cause UK, homes4harrogate and Lead Talent Management. The judging panel featured representatives of the individual category sponsors plus Matthew Stamford, Director of main sponsor of the Awards Verity Frearson; Professor Chris Gorse, Professor of Construction and Project Management at Leeds Beckett University; and David Kerfoot MBE DL, Chair of the York, North Yorkshire and East Riding Enterprise Partnership. The winners will be announced at a black-tie ceremony at the Pavilions of Harrogate venue on the 4th of April 2019. In May 2018’s Retailer Spotlight, THIIS spoke to Rise Furniture and Mobility to find out more about the company, where it revealed that it already had several award nominations under their belt. Carl Drake, Director of Rise Furniture and Mobility, explained that the retailer’s attention to excellent customer service has allowed them to build a positive reputation.